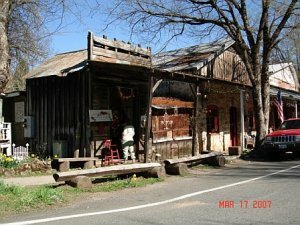 Amador City, located on Amador creek, 3 miles north of Sutter Creek, had it's beginnings in 1848, but the placers were never very rich & like Sutter Creek, the history of Amador City has been connected chiefly with quartz mining. 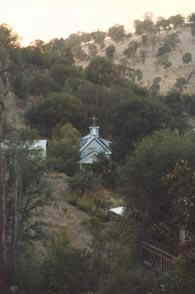 The 1st quartz discovery in Amador County, was made here in February 1851, by a Mr. Davidson, who was a Baptist preacher. Three other ministers were associated with him, and their mine was called the "Minister's Claim". Later, the vein was discovered on the north side of the creek, and it became known as "The Original Amador Mine". 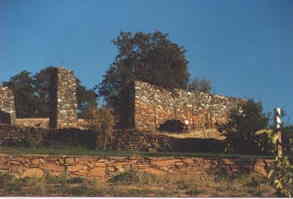 The Keystone mine at Amador, was a result of a consolidation of the "Original Amador", with the "Spring Hill", "Granite Station", & "Walnut Hill" mines in 1857. But the huge enterprise did not become a sucess until discovery of the "Bonanza", in 1869, when the 1st months's crushing paid $40,000. 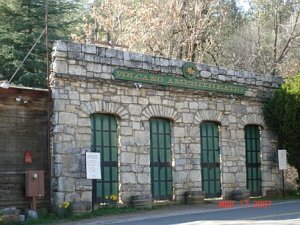 This high production continued until well into the 1880's. The Keystone has been closed down since early in this century, but there are those that still believe that millions of dollars in gold lie hidden within the earth thereabouts, and Amador City may yet renew it's old time activities. A beautiful brick building, the office & residence of former superintendants, still stand in good repair, and is used as a distinctive motel with period furnishings. 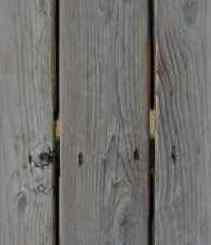 Submitted by Bob Stelow. 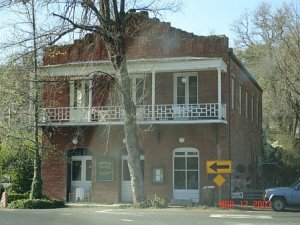 A few miles north of Sutter Creek is Amador City, home of the famous Keystone Mine of 1853 whose works still stand on the south side of town. 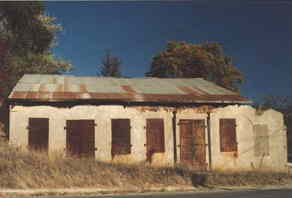 Most of buildings still standing were built after the fire of 1878. 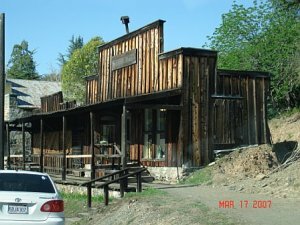 A few of the original buildings still stand including the Amador Hotel and the Keystone Mine headquarters of 1867, now an inn. Submitted by Henry Chenoweth.